New Years Resolutions are never about balance. They are about coming up with outrageous, unachievable action items for the year! They are not based on reality, which is why they most often fail, but they give us a sense of well being for a short period of time! All of these are lofty goals, but difficult to accomplish without planning. Most of us do not plan! The old saying holds true Those that fail to plan, plan to fail! We are not very successful with our Resolutions! Fry all foods. Get creative this year. Think of all the great foods that fairs are able to fry. You should be able to come up with something better than fried Twinkies! Fill your meals with processed carbohydrates! Life is short. You should not be spending time in the kitchen when there are so many great choices at the grocer. Limit vegetables as much as possible. You plate should not look colorful. They are just too boring be included. Purchase the largest plates that you can find. It is great if they will not fit into your cupboards. The bigger the better. It's all about portion distortion! Eat desserts first always. Don't ever deny yourself. If there are many choices, choose a few of your favorites, especially pies because they are extra caloric! Leave your favorite trigger foods on your kitchen cupboard, and grab a handful each time you see them! Fill a few of your favorite pretty bowls with your favorite candy. Leave them scattered around your house and desk at work for when the sugar monster hits you. Be prepared should be your motto. Fruit should only be eaten if it is fried in a batter, or cooked in a pie. It's just not that great raw and crispy. When you are grocery shopping, take extra note of end caps for these hold the most delicious items available at each grocer. Spend extra time in the cereal aisle for the tasty sugar treats! Yum! Read all food labels! If they contain many ingredients that you can't pronounce or have never heard of, they are a must purchase! Adopt the fast food habit! Nothing better than stopping by the Golden Arches. They have been around so long, they understand good nutrition! Eat everywhere especially while multitasking! Eating helps you to concentrate! Sometimes it's just good to be able to laugh at ourselves and take life a little lighter! These resolutions are obviously in jest! In reality we do the same thing. We make ridiculous goals and expect to keep them and beat ourselves up for our failures. Be kind to yourselves this year! Avoid the Top 10 resolutions and shoot for smaller goals that you might be able to accomplish! For practical tips on making Diet Resolutions, see my Weight Loss Tips and Diet Resolutions page! 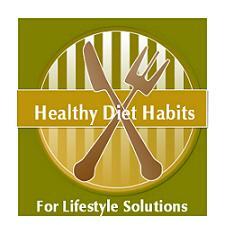 Many Happy Resolutions to All from Healthy Diet Habits!